The ringleader of a local organized crime contingent accused in an extortion case plans to plead guilty in federal court on Nov. 6, according to court records. 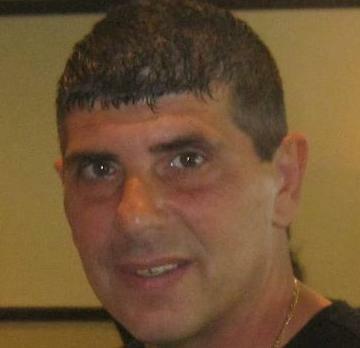 Ralph Santaniello, 50, of Longmeadow, was one of five reputed Western Massachusetts gangsters charged in U.S. District Court in August of 2016. In court records and through testimony by an FBI agent, Santaniello was portrayed as among the leaders of a shakedown scheme leveled at Springfield tow company operator Craig Morel, principal of C.J. 's Towing Unlimited. The terms of the plea have not yet been made public. Daniel D. Kelly, Santaniello's attorney, declined comment. Four members of the so-called "Springfield Crew" were arrested by Massachusetts State Police and the FBI in a Greater Springfield organized crime sweep, and will face federal gaming, extortion and loan-sharking related charges. Santaniello was arrested and charged along with Giovanni "Johnny Cal" Calabrese, and Gerald Daniele, both of Longmeadow, plus Francesco "Frank" Depergola, of Springfield, and Richard Valentini, of East Longmeadow. 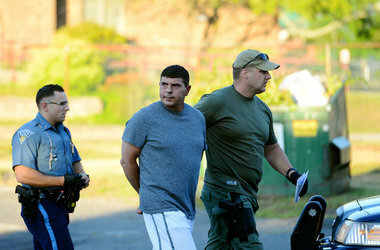 The arrests were the most significant of local organized crime figures in several years. 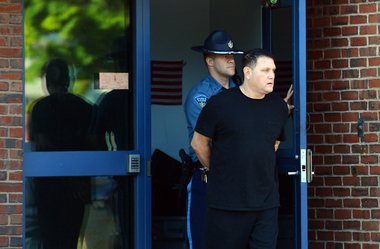 Morel sought the help of Massachusetts State Police a day after Santaniello and Calabrese in 2013 ambushed him at his property in Hampden and demanded that Morel "kick up" $50,000 in back pay to the mob, court records state. Morel had not paid organized crime figures "tribute" since Adolfo "Big Al" Bruno was murdered in 2003, he told investigators. Santaniello has pleaded guilty to being a loansharking financier in New York City, but continues to fight separate extortion charges in federal court in Springfield. Morel told troopers he initially resisted the overtures and told them he would pay them "commissions" for getting new accounts but not pay tribute on the mere principle. Then, the pair threatened to kill him, he reported. "Craig, if you don't smarten up, we're going to bury you in your own woods," Calabrese said, according to a recent court filing by federal prosecutors. "But we'll cut cut your head off first," Santaniello piped up, that filing stated, smacking Morel in the face and splitting his lip. Morel agreed to be wired for sound and video and recorded eight subsequent meetings with the group, excluding Daniele, who is accused of loansharking to a gambling debtor. The businessman remarked during one of the recorded meetings that Bruno was gracious enough to give him opera tickets in exchange for Morel's kickbacks while Santaniello's only offering was "a smack." Santaniello also was kind enough to offer up his parents' house on Converse Street in Longmeadow for weekly team sit-downs related to a gambling and loan-sharking ring. Audio and video also featured Santaniello tearing Morel's shirt open to determine whether Morel was wearing a wire, and charging in to a construction trailer where state troopers were posing as laborers. State investigators eventually turned the case over to the FBI for prosecution. State police provided Morel with $20,000 to settle the dispute, court records state. Santaniello has already pleaded guiltyin August to separate charges out of federal court in New York City. He admitted to entering into a "profit-sharing" loansharking agreement with Genovese underboss Eugene "Rooster" O'Nofrio. The two, plus Depergola, loaned an undercover FBI agent $15,000 at a Chicopee pizza shop in 2014. Santaniello, who has been held behind bars since his arrest, faces up to 30 months in prison on the New York charge. It is yet unclear how much time he will face in connection with the Western Massachusetts charges, or whether that sentence will run concurrently with the New York penalty.